Recent data shows that many Americans who are entitled to receive hospice services through Medicare are either unaware of the availability of benefits or are unwilling to take advantage of them. Only by spreading awareness of the availability of these essential services will hospice groups be able to raise participation rates. The recent Facts & Figures report from the National Hospice and Palliative Care Organization shows that the majority of Medicare beneficiaries do not fully benefit from available hospice resources. In fact, 40.5 percent of patients who access hospice services through Medicare receive 14 days or less of care. Such a short span of time is insufficient to maximize these services. NHPCO President and CEO Edo Banach noted that patient and family outreach needs to improve to spread awareness of all benefits available to those facing end of life. "The hospice interdisciplinary team is ideally suited to provide care and support to patients and family caregivers throughout the last months of life, not just the last days," Banach said. Overall, hospice participation among Medicare patients could be improved. According to the report, 48 percent of Medicare decedents were enrolled in hospice at time of death in 2016. Further, of the 4,382 Medicare-certified hospice centers operating in the U.S., the majority had an average daily census of fewer than 50 patients. Improving hospice participation among Medicare beneficiaries depends on a two-pronged approach: 1) Understanding patient and family motivations for declining hospices services, and 2) disseminating accurate information concerning the availability and types of services. Patients may not be aware of the services available to them. Patients and families often view enrollment in hospice services as the end of the road, only to be utilized when a family member is very close to end of life. They may fail to understand that these benefits are not only available on a short-term basis. One reason for this misunderstanding may lie in the initial rollout of the Medicare hospice benefit. When these services first became available to Medicare patients in 1983, the majority of participants had terminal cancer. Today, a larger percentage of hospice patients have cardiovascular diseases and dementia. 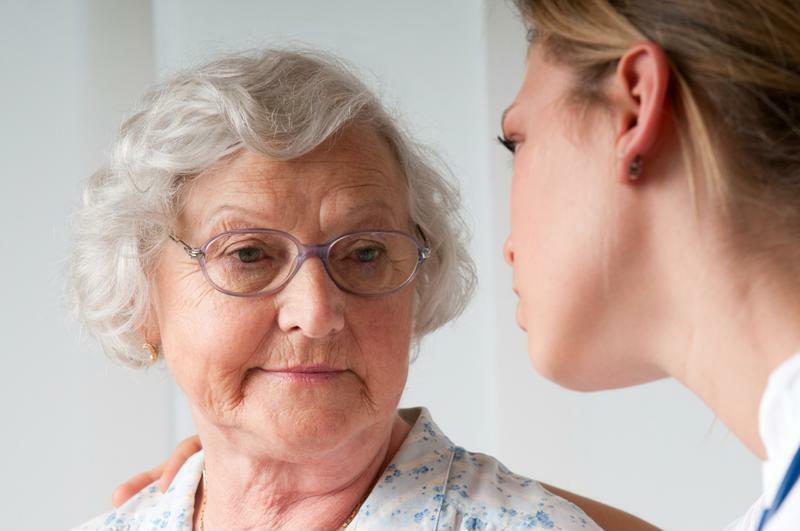 Speaking with HealthLine, NHPCO vice president and COO John Mastrojohn explained that physicians may hesitate to refer dementia patients to a palliative care organization. "It is well documented that the prognostication for those patients with a noncancer diagnosis is more difficult and is a complicating factor for physicians and others who refer patients to hospice care," said Mastrojohn. Another reason individuals may refuse hospice care is a worry about expense. Patients and their families may not know the extent of services which are fully covered by the program. Therefore, spreading awareness of the availability of hospice benefits should be a priority among hospice organizational leaders. Hospice agencies can play a role in increasing the utilization of their services by becoming a source of knowledge for patients and their families. End of life is an incredibly stressful time, and even patients who research their options may not fully understand the exact benefits available to them. Hospice leaders should consider developing a strategy for reaching out to local Medicare beneficiaries to explain, in plain language, the services patients are entitled to. To learn more about patient outreach and discover the best-in-class features of our award-winning hospice management solution, schedule a conversation with one of our expert consultants today. Posted in Industry News on June 6, 2018 by Linda Peth.